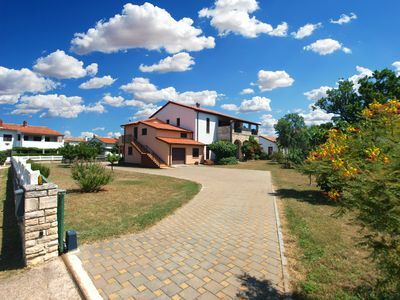 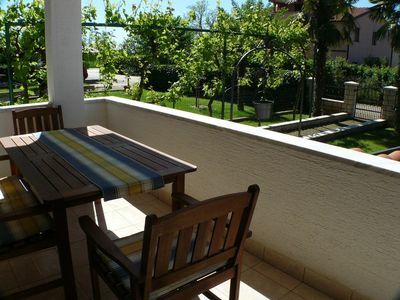 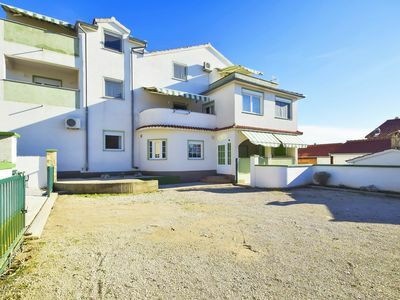 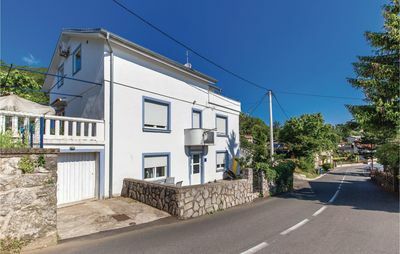 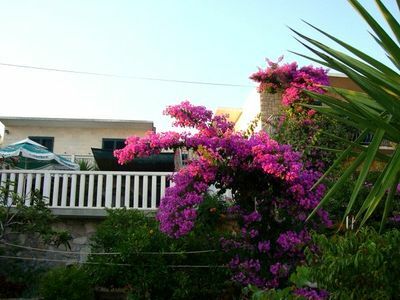 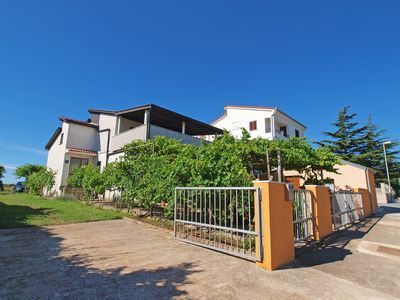 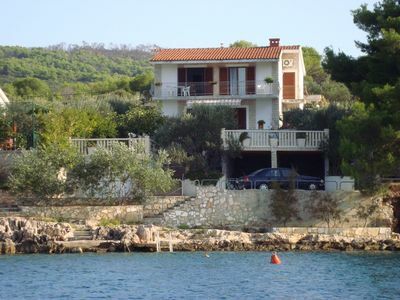 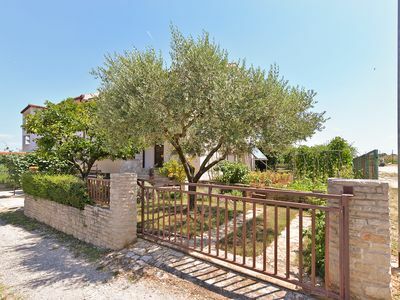 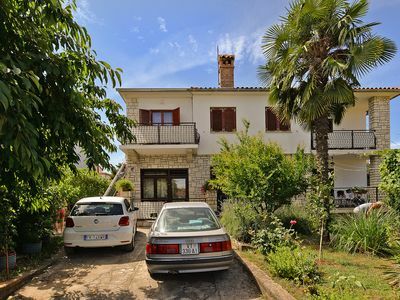 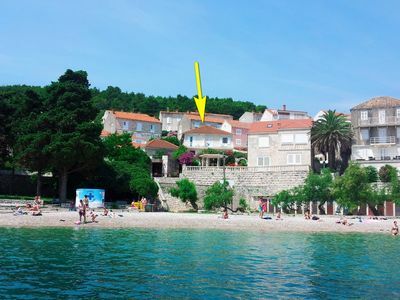 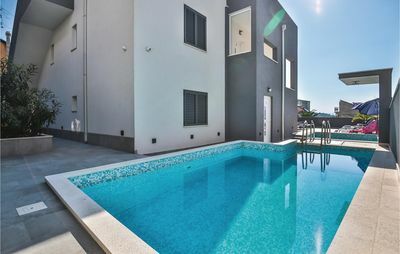 This nicely and newly done up apartment (2013 first rental season) lies in the very center of the small town of Omiš, nevertheless in quiet surroundings. 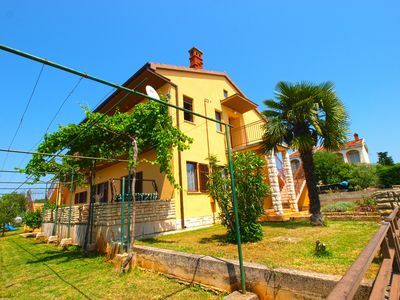 The impressive old town of Omiš with many quaint shops, restaurants and taverns offering local specialties, the Cetina river promenade and the beautiful 700 meters long sandy beach are only a minute's walk away. 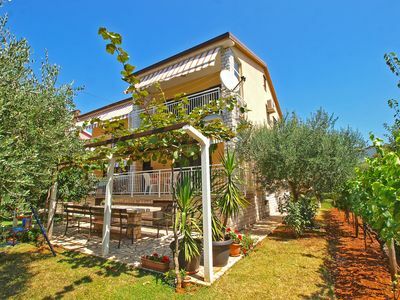 The apartment is fully equipped and includes a living room with a sofa bed (for 2 persons), SAT-TV, open plan kitchen (big refrigerator with freezer, stove and oven) and eating space with a table and 5 chairs. 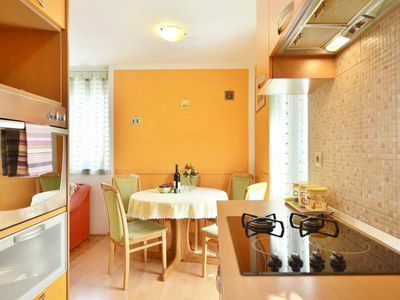 Dishes and kitchen utensils included. 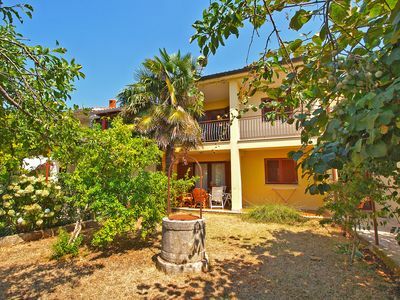 The separate bedroom includes a double bed and one spare bed. 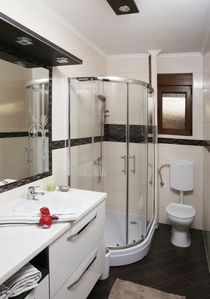 Roomy shower bath.